For fans of the Sound of Music, this script is hot! Going for a walk Austria, be sure to go to Salzburg, birthplace of Mozart and the Von Trapp. There you can catch a 4 hour guided tour that takes you to the locations of the film. 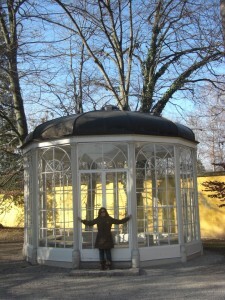 Do you recognize this house or the gazebo where the photo? "Just wanted to show my eyes, my eyes ..."
Get a free blog at WordPress.com Theme: ChaoticSoul by Bryan Veloso .